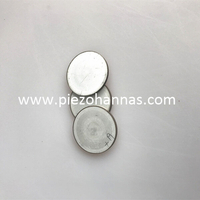 By using the inverse piezoelectric effect of the piezoelectric ceramic, precise displacement control can be conveniently realized to form a piezoelectric ceramic actuator. 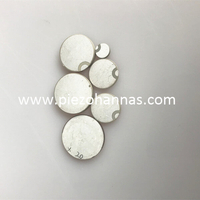 In recent years, the research and application of piezoelectric ceramic actuators has developed rapidly, and has formed an important branch in the functional Pzt piezo ceramic material piezo ceramics. Its applications involve high-tech fields such as laser communication, bioengineering, nanofabrication, automatic control, precision optics, micro-mechanics, microelectronics, and computer applications, and play an increasingly important role in the national economy. Compared with general micro-actuators, piezoelectric ceramic actuators have the advantages of good linearity, convenient control, high displacement resolution, good frequency response, no heat, no noise, no electromagnetic interference, low voltage drive and easy miniaturization. It provides new means and new ways for displacement or motion in the order of micrometers and nanometers. Therefore, piezoelectric ceramic actuators are a key component of precision displacement adjustment devices. Taking advantage of these excellent performances of piezoelectric ceramic actuators, new ideas for developing piezoelectric ceramic displays have been proposed for the current mainstream,electronic transducer piezo ceramics are being susceptible to electromagnetic interference, dead spots, etching, etc., and a series of research work has been carried out. How does a piezoelectric ceramic display work? Piezoelectric ceramic drivers are the core components of piezoelectric crystal cost displays in which they act as pixel drive sources. The structure of a piezoelectric ceramics display. Many of the drivers are densely and orderly arranged on the substrate, and the color pixel portion is printed on the upper end , so that the piezoelectric ceramic driver becomes a pixel driving source. There is a certain gap between the pixel driving source and the upper light guiding plate. Under the driving of the alternating voltage, the color pixel portion generates a high-precision telescopic displacement, thereby it is being in contact with or separated from the light guiding plate. Since the refractive index difference between the color pixel portion and the light guide plate is different, when the light is incident on the light guide plate at a certain angle, total reflection occurs at the contacted sub-pixel, thereby emitting scattered light of a corresponding color, and at the separation, there is no light emitted. In this way, by controlling the displacement operation of the piezoelectric ceramic driver, the color pixel portion is controlled to be in contact with or detached from the light guide plate, and finally, the sub-pixels can be controlled to emit light and not to emit light. The piezoelectric disk type piezoelectric crystal utilizes the high-speed response characteristic of the piezoelectric ceramic driver, and the 256-step tone of each color corresponding to the full color can be realized by only time modulation, which is equivalent to the color of process during painting. According to the image signal, the tone can be realized by controlling the time during which the sub-pixels are continuously kept on, and finally an ideal image display can be realized. 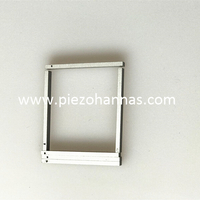 Piezoelectric ceramic displays have excellent performances such as wide angle, high brightness, and high resolution. 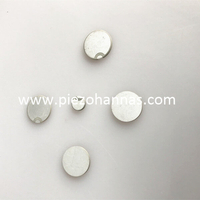 At the same time, due to the particularity of its working principle, the piezoelectric ceramic can avoid the problems of the electromagnetic interference and the defects such as smashing and smashing of the mainstream display. In addition, with panel splicing technology, the display can also achieve large screen ultra-thin display, which provides a new way to develop new large-screen displays. 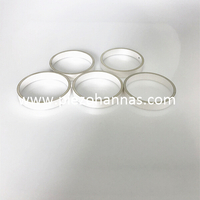 The molding process of piezo ceramic disk mainly includes a light shape rapid prototyping process, a jet printing process, a laser sintering rapid prototyping process. The principles of these processes are basically the same, and the two-dimensional plane of the object is superimposed into a three-dimensional structure by a lamination method. The light-shaping rapid prototyping process can prepare a three-dimensional microstructure having a complicated shape by utilizing the property of hardening of a polymer liquid after light irradiation, and has the disadvantage that it is only suitable for a photo-curing polymer and is not suitable for a piezo ceramic material. The jet printing technique is a low-viscosity slurry in which a powder of a material to be molded is imaged as an ink, and is printed by a printer layer. However, due to its low solid content, it is still difficult to achieve multi-layer printing. The laser sintering process uses a laser to scan and heat the layer powder to realize lamination molding. The method is suitable for various materials such as plastics, metals, ceramics, etc., only in terms of molding precision and density of the molded body.